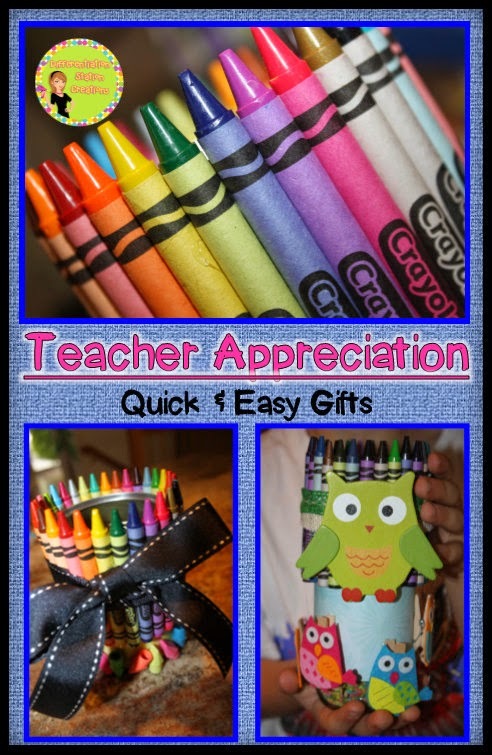 I can’t wait for Teacher Appreciation Week! My son’s school sends home a list of themed ideas for each day of teacher appreciation week. 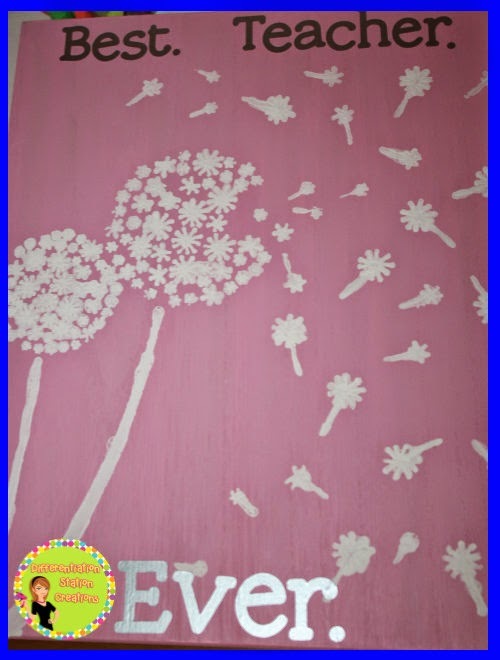 It emphasizes that kids can make their own gifts and show appreciation in many ways, instead of just buying gifts. I love that it emphasizes that they can draw, find, or create a gift. In this way, money is taken out of the equation and ALL children are able to participate. 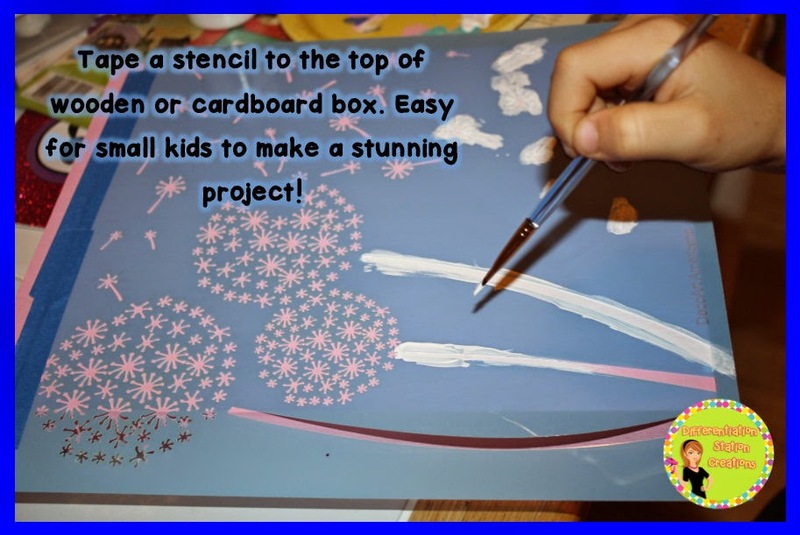 So, this was the perfect time to get my kids involved in a fun project! We hit Pinterest for some fun and easy ideas. We were immediately drawn to a colorful container from Place of My Taste. 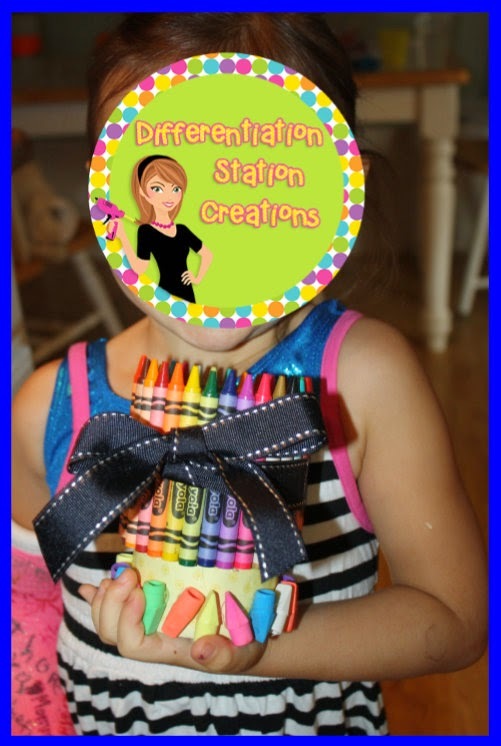 You need to head over to this amazing blog for her post on Getting Creative With Crayola. Loved it! 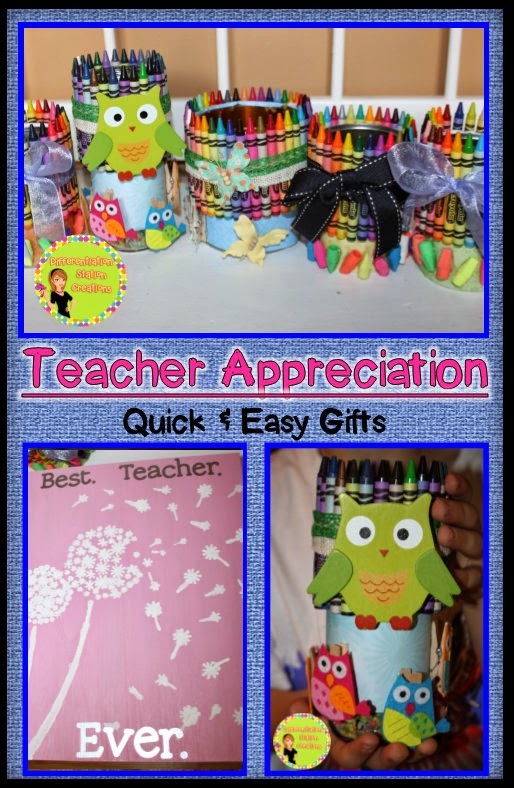 We decided to create pencil containers, but we wanted to customize container to each specific teacher. We started out with a bunch of aluminum cans. Ours were from cans of black beans. The small containers were from a 15.5 oz container. The large container was from a 28 oz can. The tall owl container is a glass container from some type of sauce. Any container will work! You will just customize based on the size of your container. First, choose your container and cover it with scrapbooking paper. Hot glue the paper directly to the can. 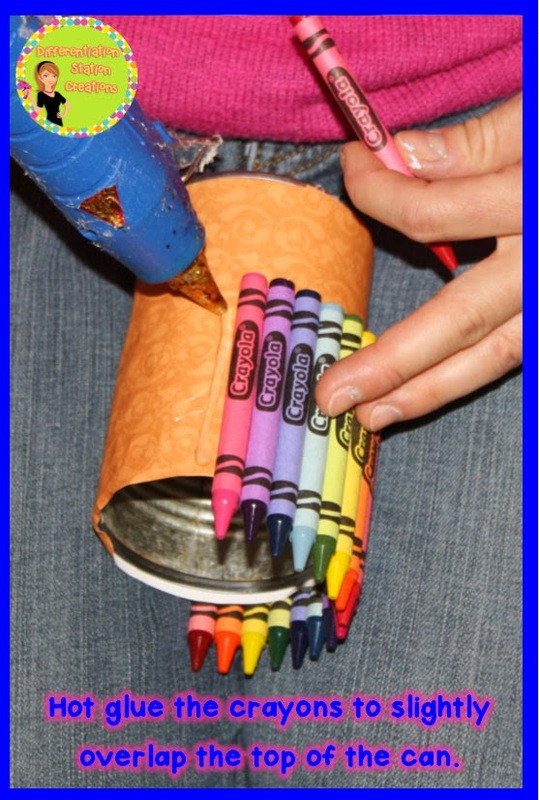 Hot glue the crayons to the top of the can. 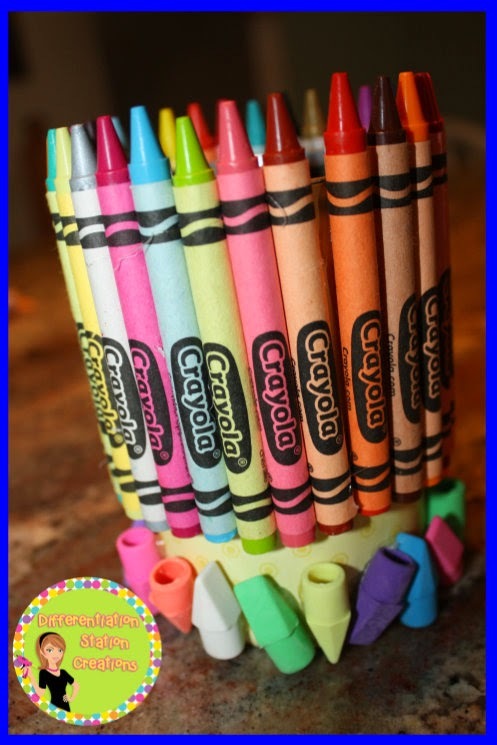 The crayons should be about 1/2 inch taller than the top of the can. 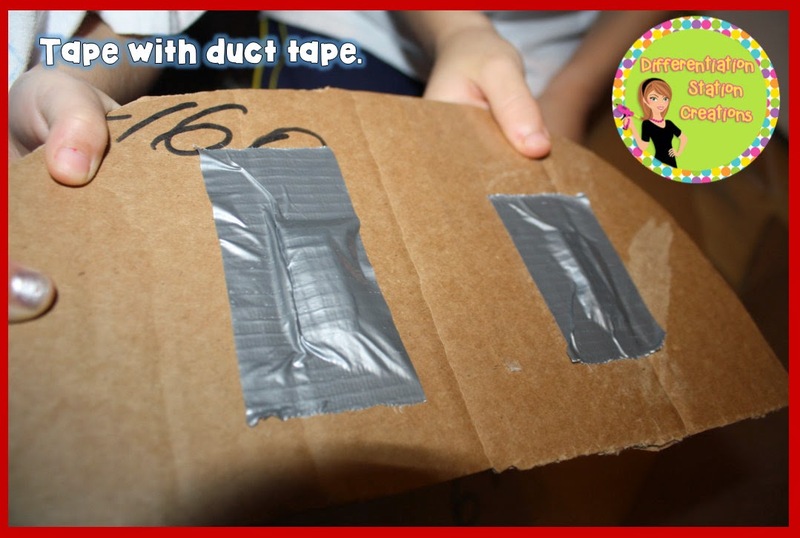 We decided to choose objects to glue to the bottom of the can. I got a bunch of erasers to glue in a diagonal pattern across the bottom. This gives more depth to the pencil container. 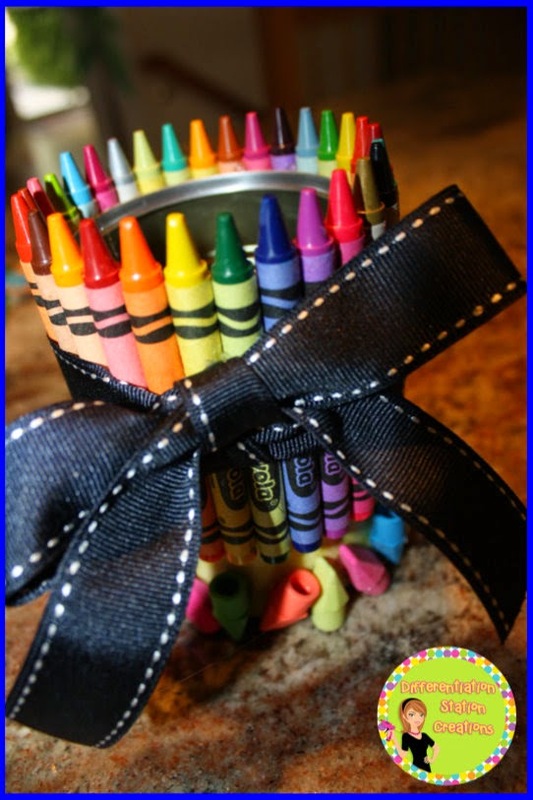 The finishing touch is to tie a ribbon around the middle of the crayons. I hot glued the ribbon directly to the crayons. 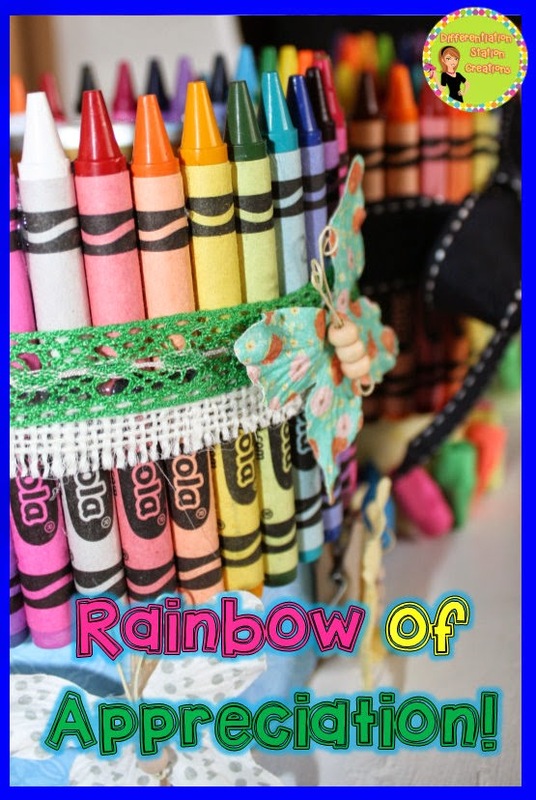 Use any color ribbon that you like! One of my son’s teachers loves owls, so I went to the craft store to get some fun owls. I found these owls in the bargain bins! 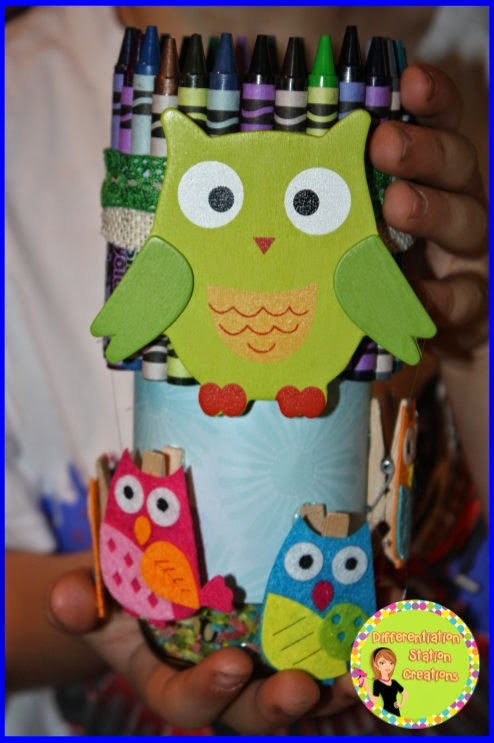 The large owl is a wooden owl and the smaller ones are scrapbooking accents, but you can really use anything. I hot glued the small owl accents to a small clothespin. 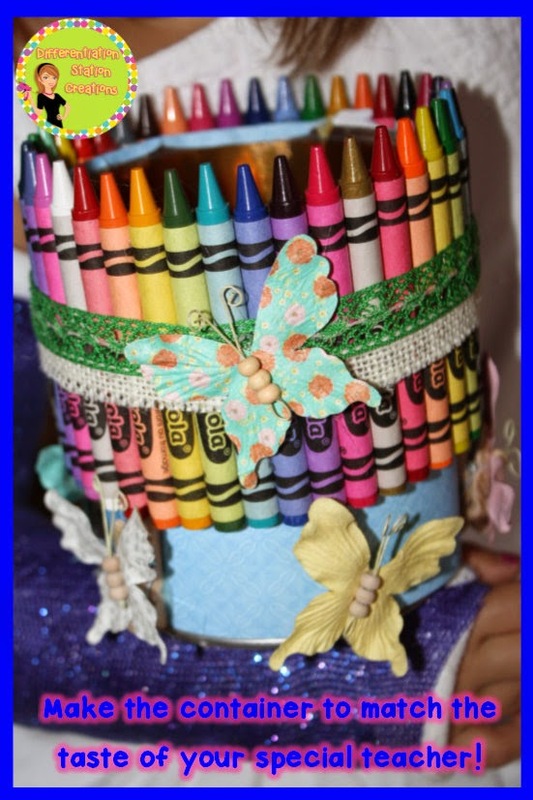 Adding the clothespin to the accent will prop the accents out a little bit and make the jar look more balanced. We also created a butterfly themed container. The butterflies are scrapbooking materials. 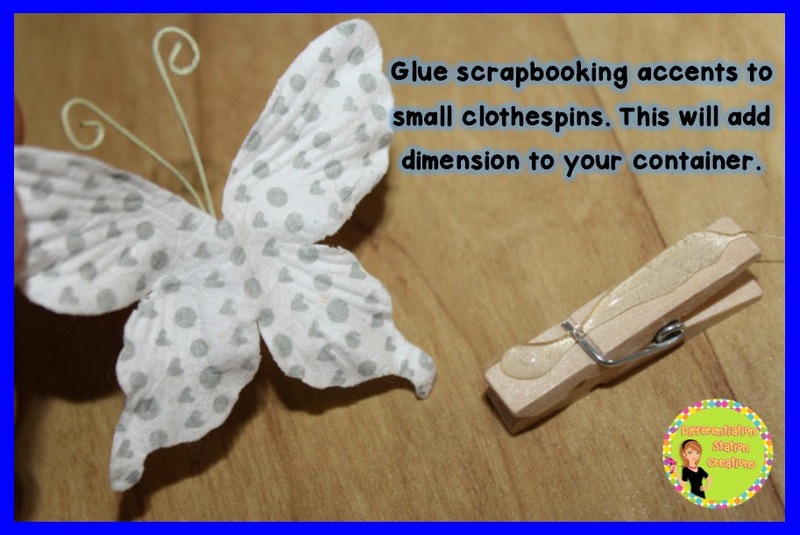 Glue the scrapbooking accents to the small clothespins. After painting the entire box, he chose a stencil to paint on the top. He picked out dandelions flying in the air. This was his choice, because he said his teacher was his wish come true. He wanted a teacher that made him love to learn and she does!! We taped the stencil to the top of the box and he used a paintbrush to fill in the stencil. Then, we used the Cricut machine to cut the letters out with vinyl adhesive. 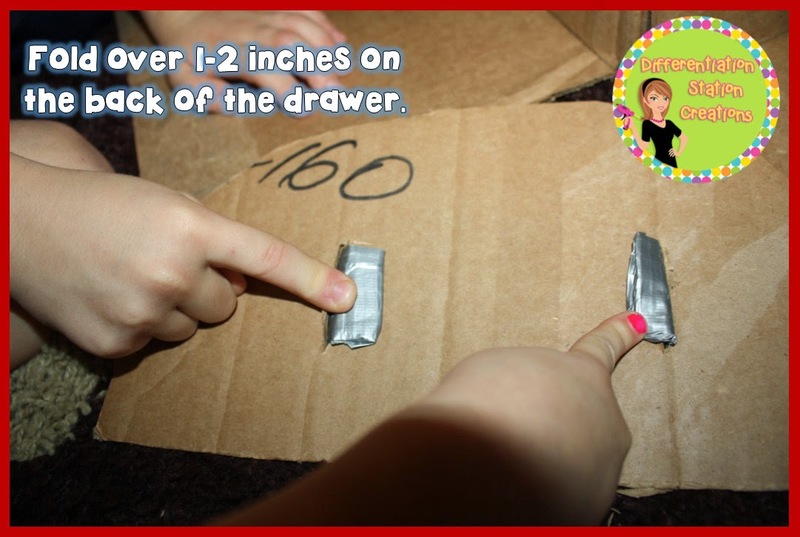 We peeled them off and attached them to the box. Easy! All of our projects were completed in one afternoon and I made all of them with my kids! 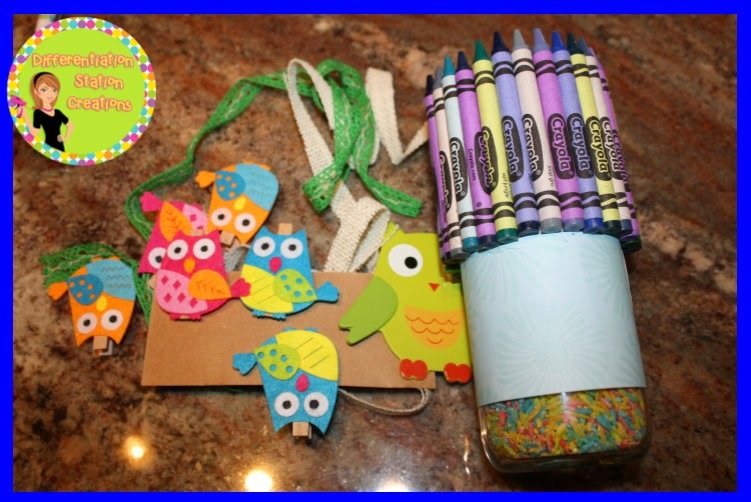 Hope you enjoyed these easy DIY presents and have a wonderful week! I feel so blessed that my kids spend their days learning with such special teachers! Thank you to ALL of the amazing teachers out there. 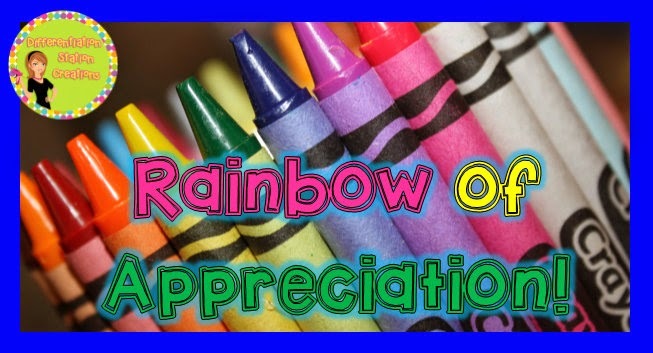 You are so appreciated!! Check out these hands-on dental health activities. Use fun manipulatives to explore concepts of subtraction and addition. Kids can “pull out teeth” for subtraction, count teeth with tools from the dentist, and so much more! Dental Health is such an intriguing thing for young children. Explore subtraction with young children through the concept of losing teeth. They are already fascinated with the idea of losing their own teeth, so it is the perfect way to explore subtraction! We have been on a pizza kick at my house. My kids are crazy for pizza of any sort, so we extended our pizza exploration into other areas. We created a DIY Magnetic Pizza Manipulative that we use for subitizing, addition, and patterning. I am currently working on a set to use for repeated addition. It is such a fun and easy way to play with your food! You can see the DIY directions here. You can get the Pizza pack here. 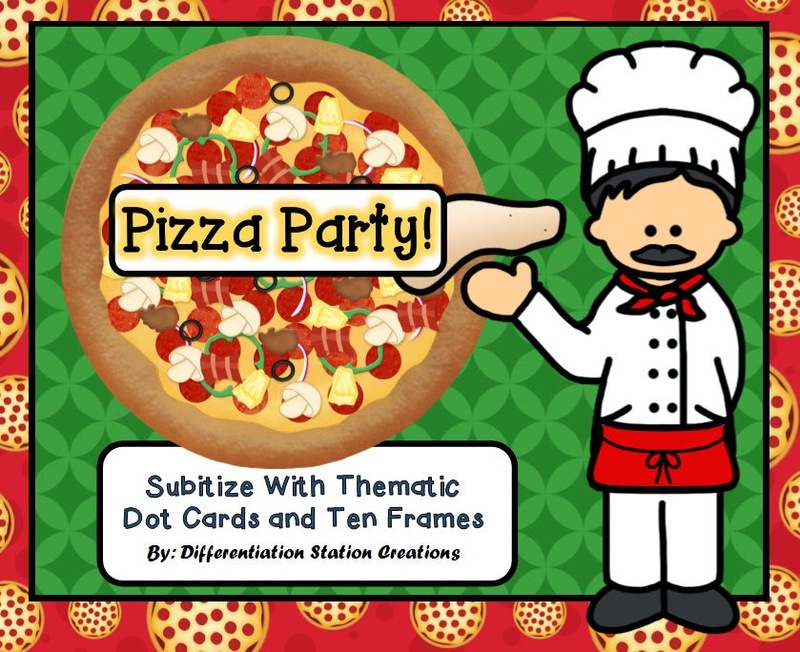 This is another pizza pack with thematic dot cards and ten frames. 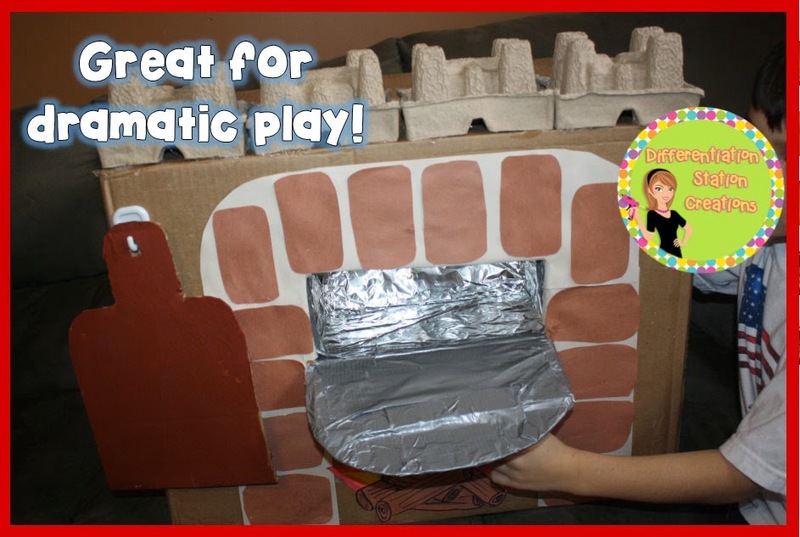 We had received a package with a huge box in the mail and decided to turn it into a pizza oven. 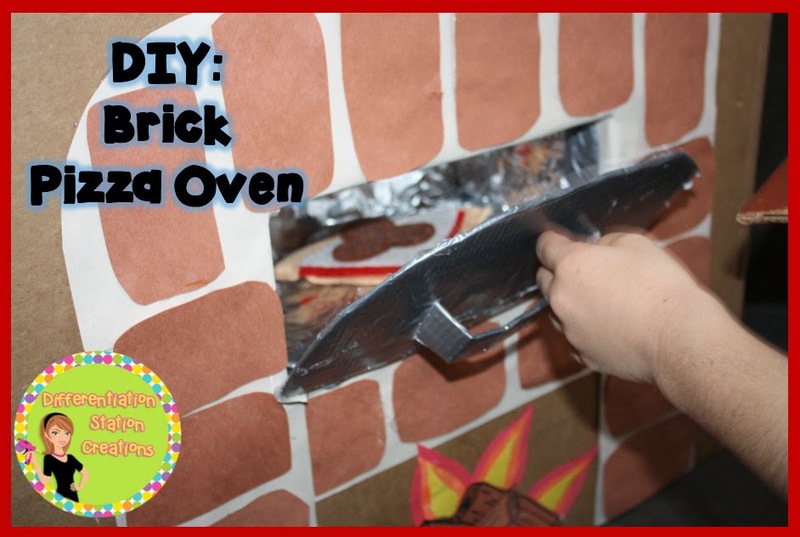 My kids were ecstatic to be able to make and use their own brick pizza oven. Our house turned into a gourmet pizza restaurant. 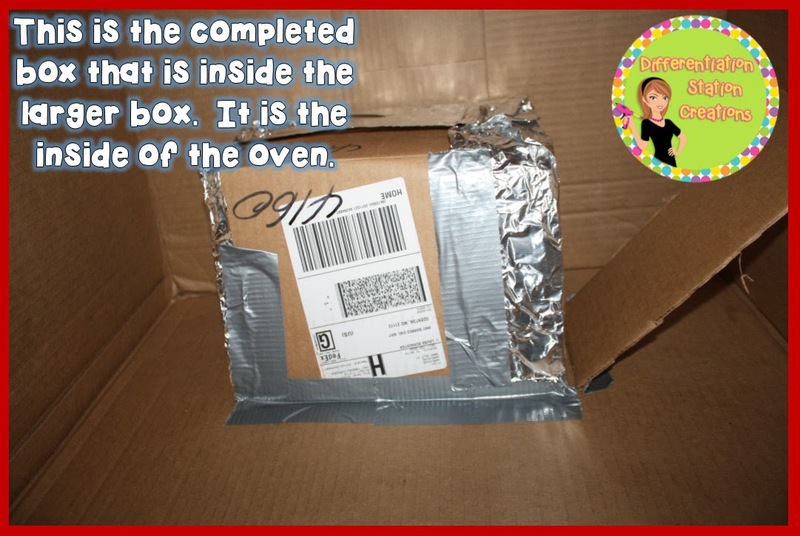 – One smaller box to hot glue inside and create the oven. 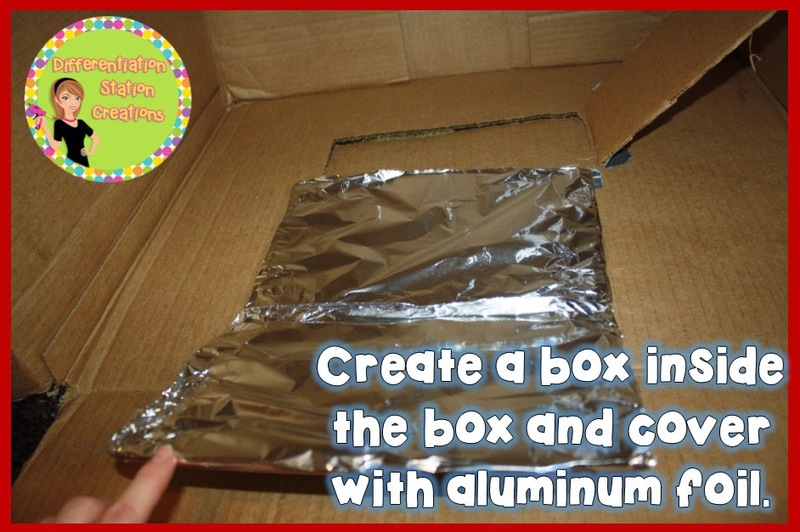 First, you will cut a rectangular hole in the front of the large box. This will be your opening to the oven. Only cut three sides of the rectangle, because it will still be attached at the bottom. 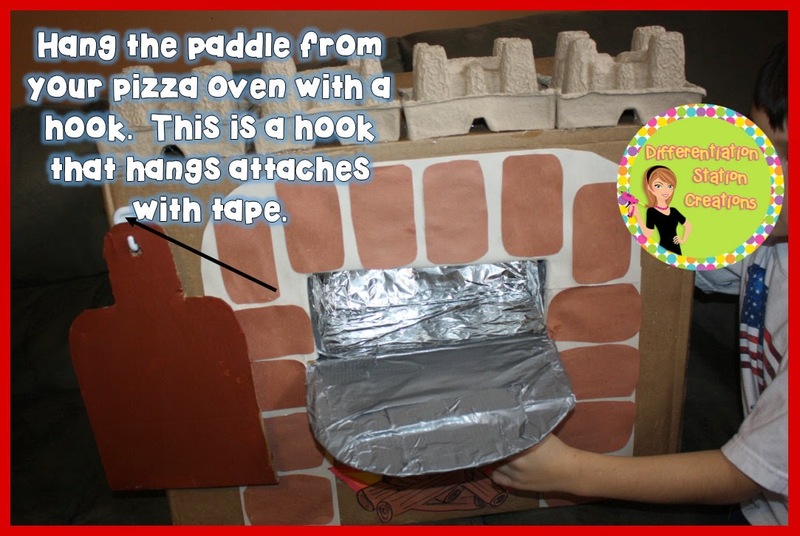 This will allow the front of the oven to open and close. 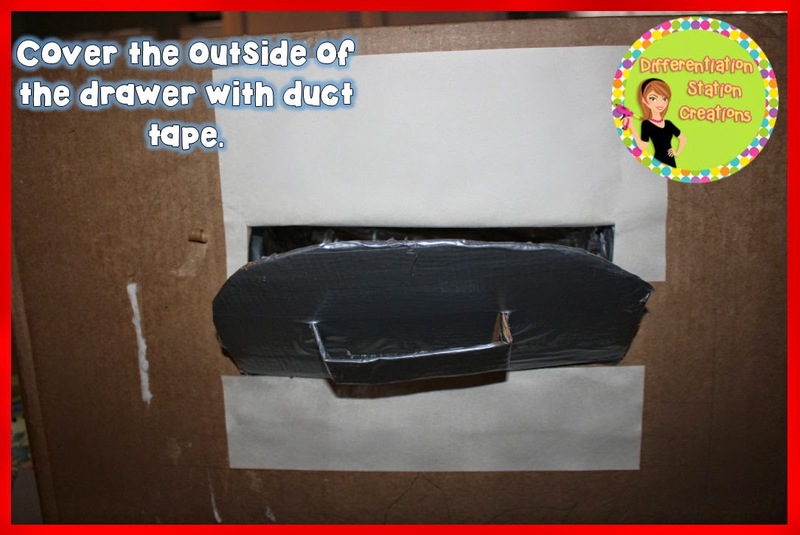 Use duct tape to attach the cardboard to the inside of the box. 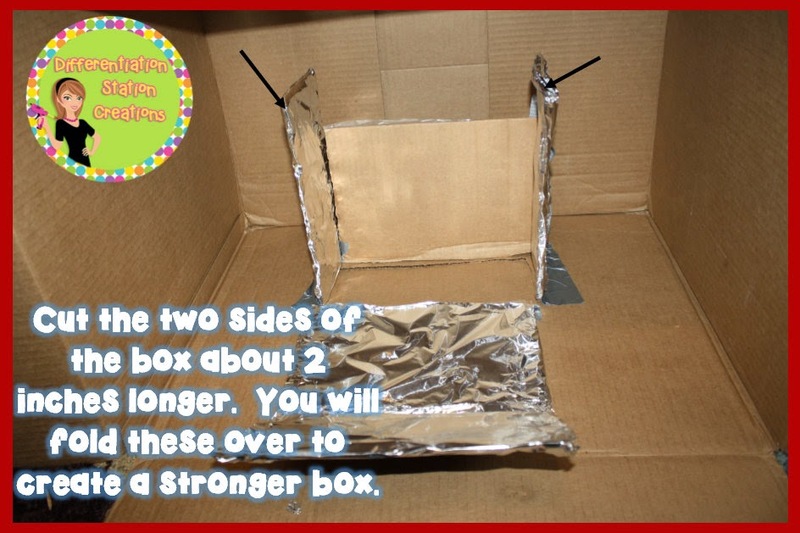 You will attach it to the large box on all sides of the box. Cut the two sides of the box about 2 inches longer. 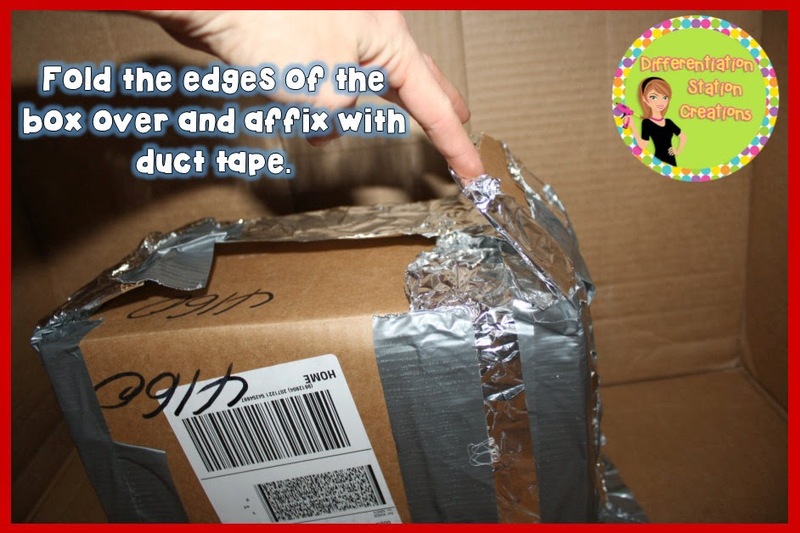 Fold the edges of the box over and affix with tape. Here is the completed inside of your oven. 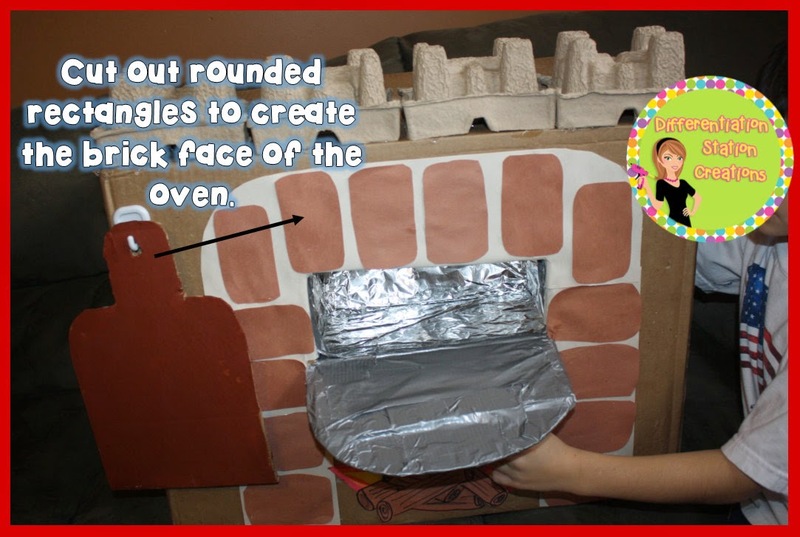 Next, you will create the front of the oven. 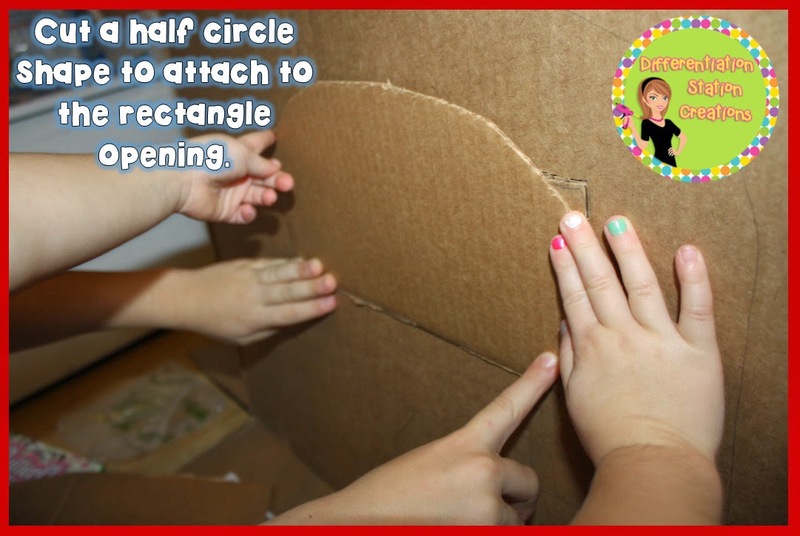 Cut a half circle to attach to the rectangular opening. 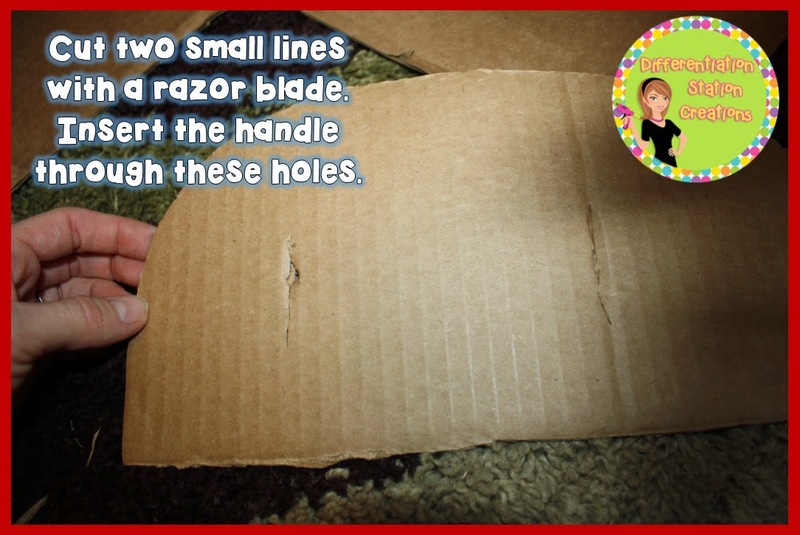 Create a handle by cutting two small lines with a razor blade. 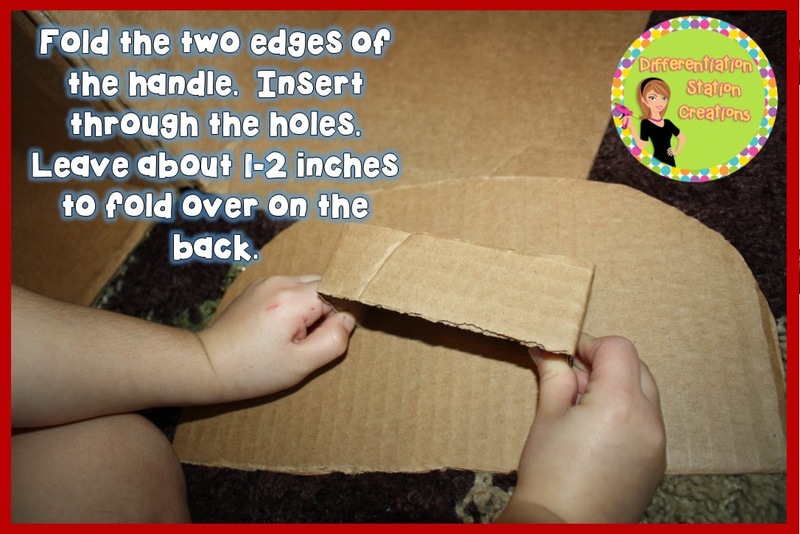 Fold the two edges of the handle and insert through the holes. Leave about 1-2 inches to fold over on the back. 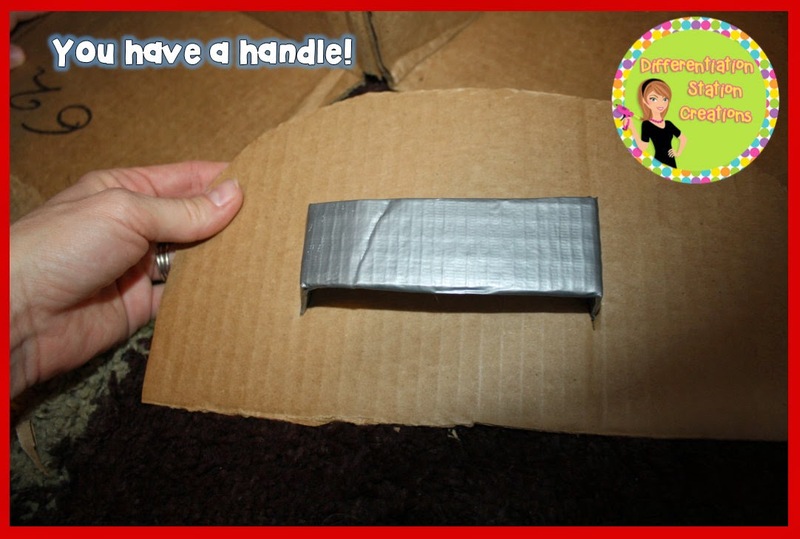 Tape the handles down on the back of the drawer. 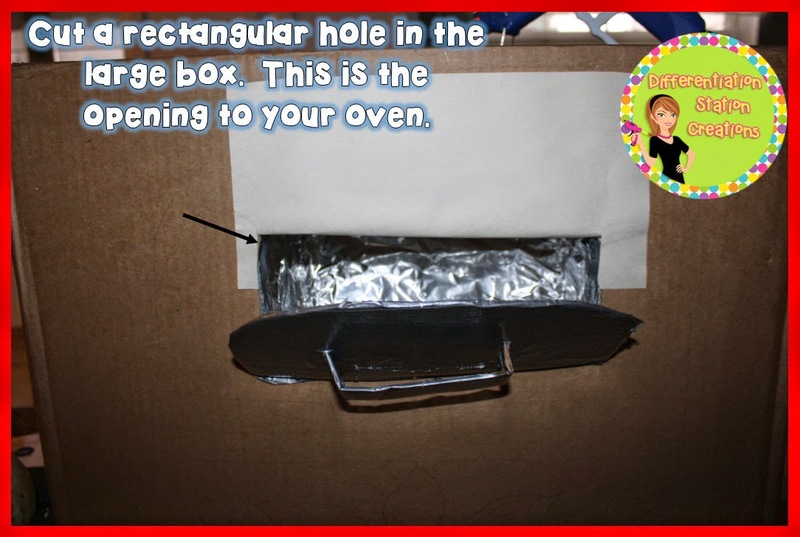 To make the outside of the oven, attach the half circle to the rectangular opening. 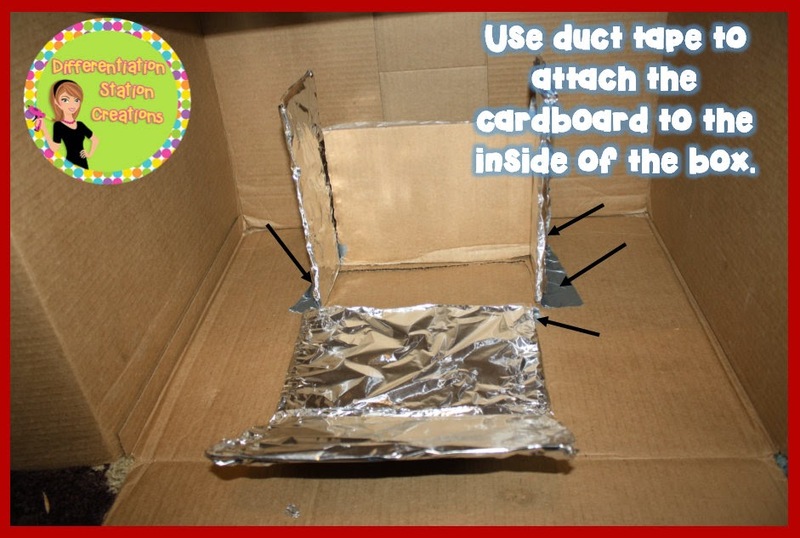 I covered it in duct tape for a more durable oven. Cut out white construction paper to make the white background surrounding your oven. I rounded the rectangles of the edges. I cut out rounded rectangles for the logs and drew lines down the middle with a Sharpee. 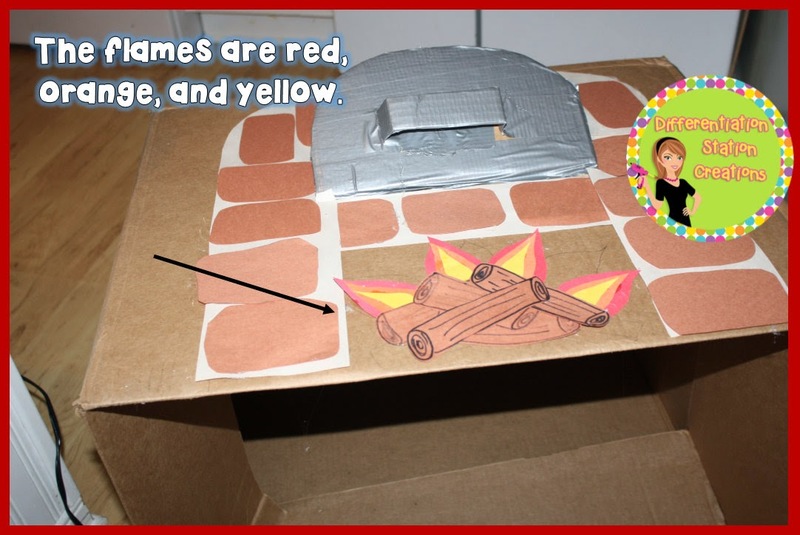 The flames are made with red, orange and yellow construction paper. I traced the red flame onto the orange paper and made it about 1/2 inch smaller. I traced the orange flame to create the yellow flame, by cutting it about 1 1/2 inch smaller. I added packaging from laser toner to the top of my oven for decoration. 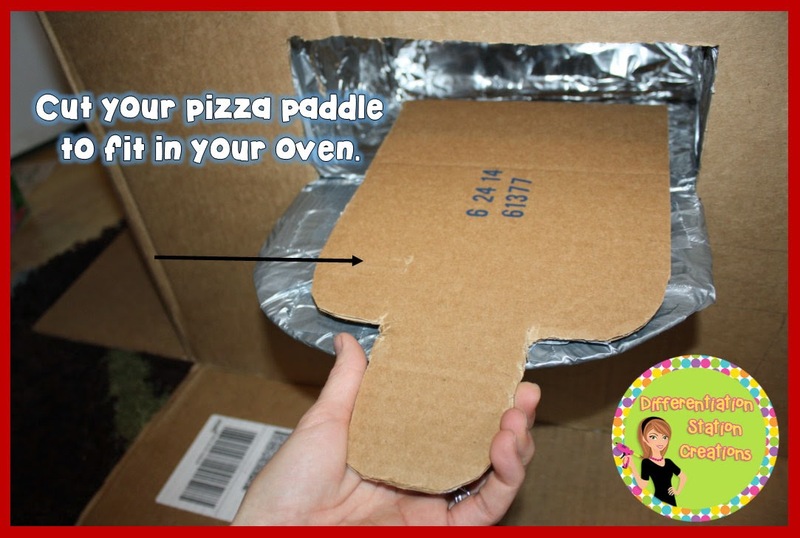 To make a pizza paddle, cut out a rounded rectangular shape with a handle. I cut out another rectangle to affix to the pizza paddle. This strengthens the handle for more use. 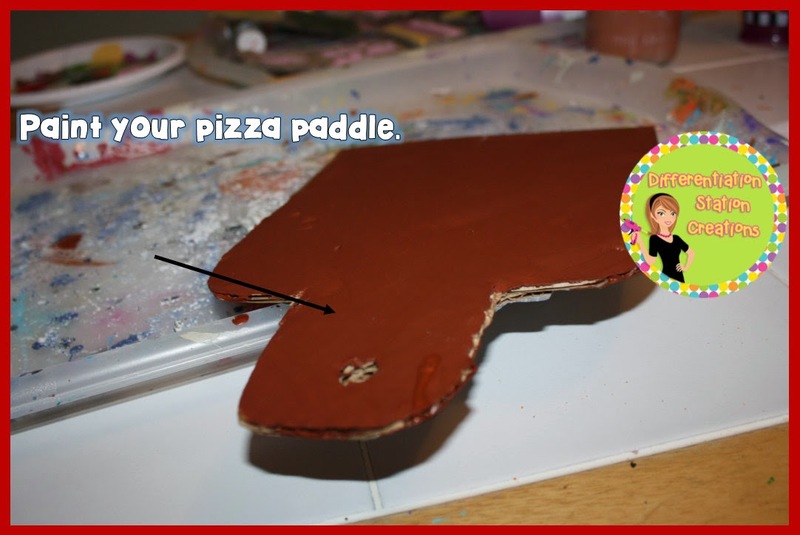 ***UPDATE*** With lots of love and use, this pizza paddle got a little ratty. 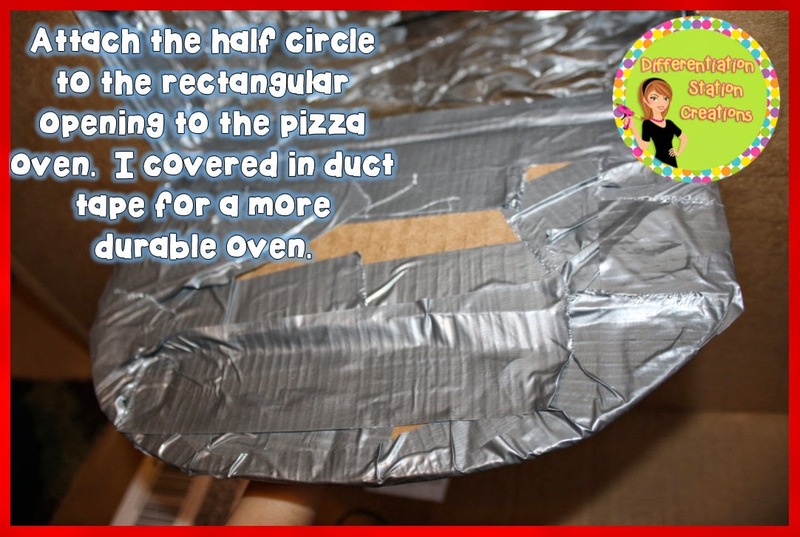 So I just covered the entire pizza paddle with duct tape. This looks cool and makes it very sturdy! I used a 3M adhesive hook to attach to the oven. 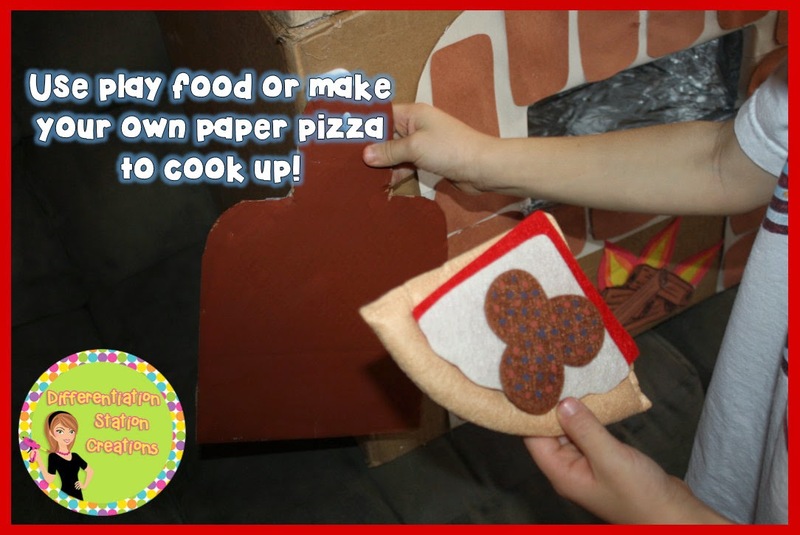 Use play food or make your own pizzas out of paper to use in your oven. 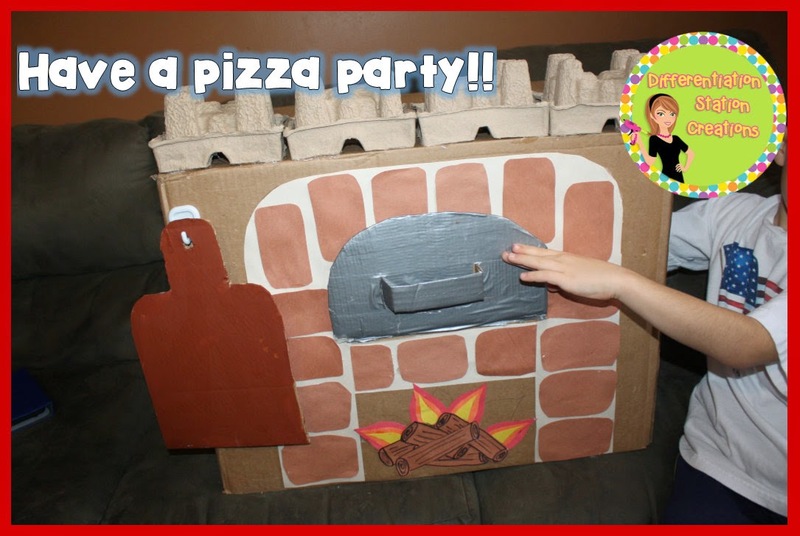 Have a pizza party in your home or class! I hope your kids love it, too! Leave me a comment to know what you think! I love hearing from you! I linked up with 4th Grade Frolics: Monday Made It! 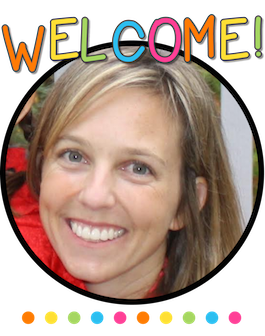 Today, I am blogging at The Primary Pack to share a DIY project that will get your kiddos rockin’, rompin, adding, and subtracting! There will be some FREE festive singing to accompany the project, too! You don’t want to miss this!!! 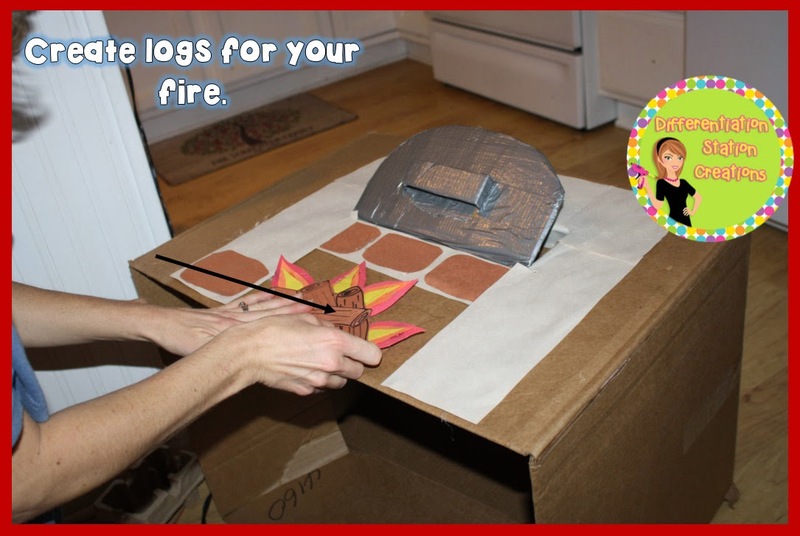 I want to share a simple DIY project to get you ready for the “Reindeer Romp”! I love using finger puppets as math manipulatives. 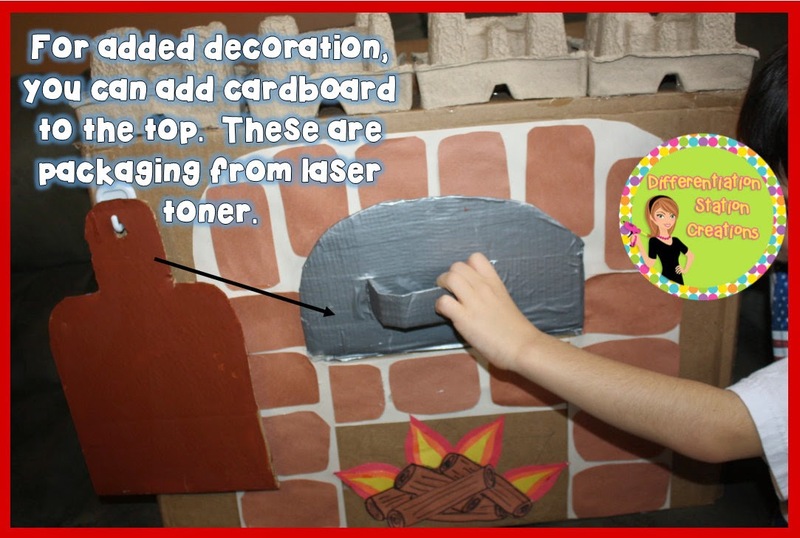 It is very simple to create sturdy manipulatives with Velcro out of plastic finger puppets. I got my reindeer finger puppets from Oriental Trading, but they seem to be sold out for the holiday season. You can get a different set on Amazon or Oriental Trading. 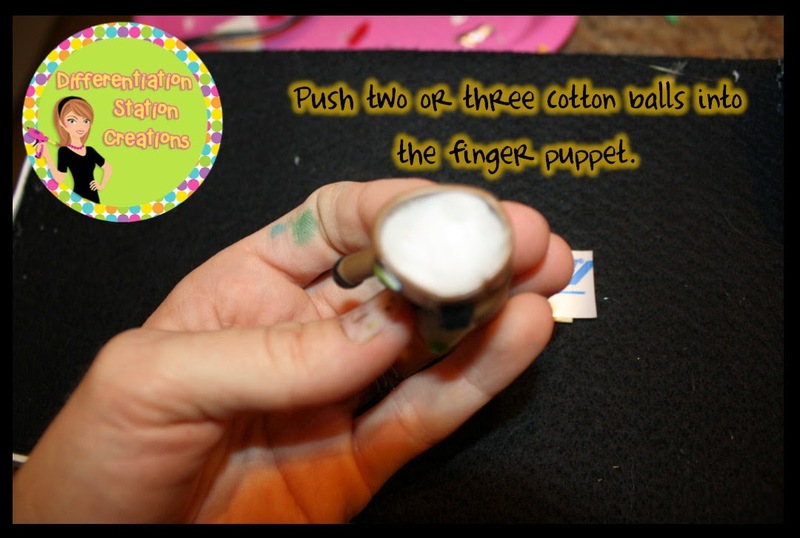 First, stuff each finger puppet with 2 or 3 cotton balls. Enough to make the reindeer firm and easy to use as a manipulative. Turn your reindeer upside down and apply hot glue evenly over the entire opening of the finger puppet. 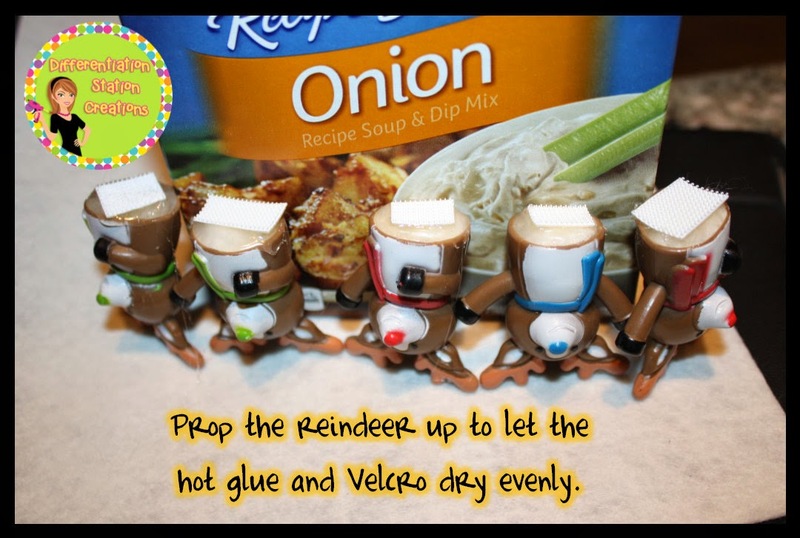 While the hot glue is still soft, gently push the Velcro onto the middle of the reindeer. Prop the reindeer upside down to let the hot glue dry evenly. This will give you a very durable manipulative. 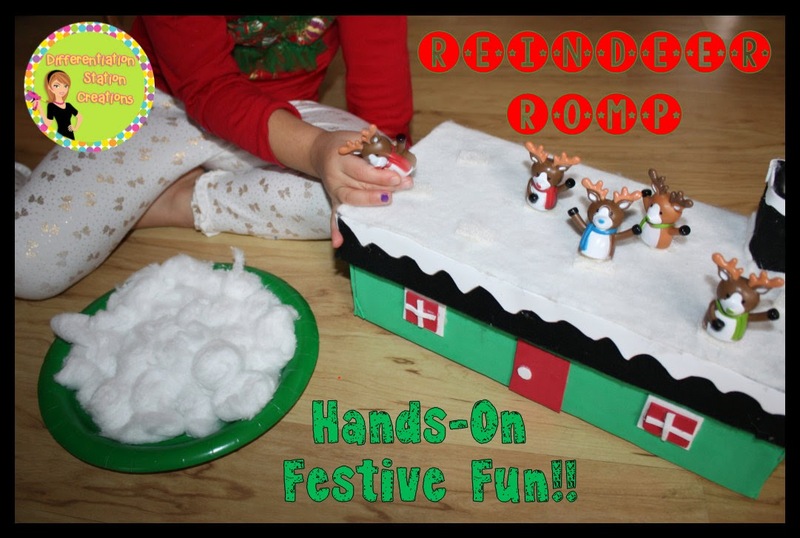 Once they dry, you have reindeer manipulatives that will stick to Velcro on your roof top!